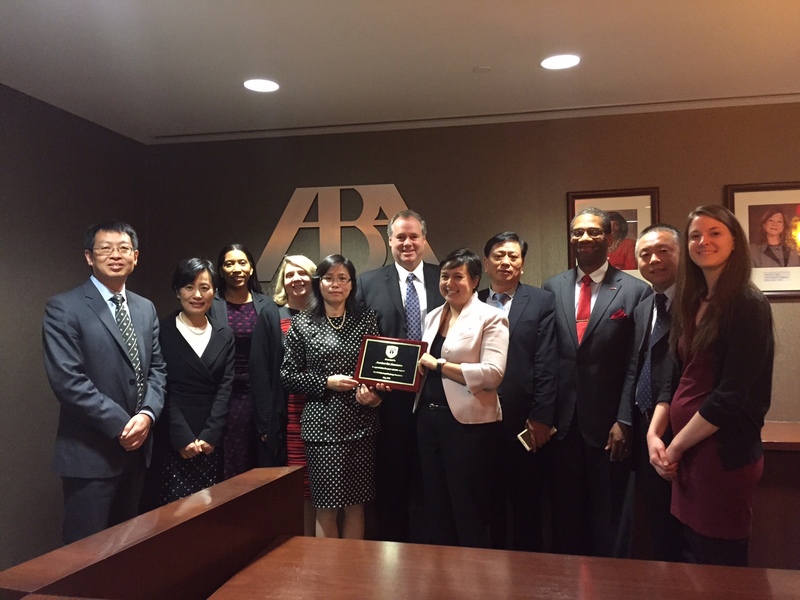 The American Bar Association invited Darrell G. Mottley to share his knowledge as chair of the District of Columbia Bar Global Legal Practice Task Force with a Chinese delegation from the U.S.-China Legal Exchange Foundation on May 11. The U.S.-China Legal Exchange Foundation is a nonprofit organization that promotes legal exchange and cooperation between the United States and China. Its delegation visited Washington, D.C., and met with ABA leaders to learn about new trends in the American legal industry and the issue of law firm management. Mr. Mottley specifically addressed developments in alternative business structures in the United States as well as American lawyers’ interest and awareness of the global legal practice. He is pictured below, third from the right, with the delegation.